With the beautiful view from the coast of Japan comes the necessity to fend against nature’s temperaments. 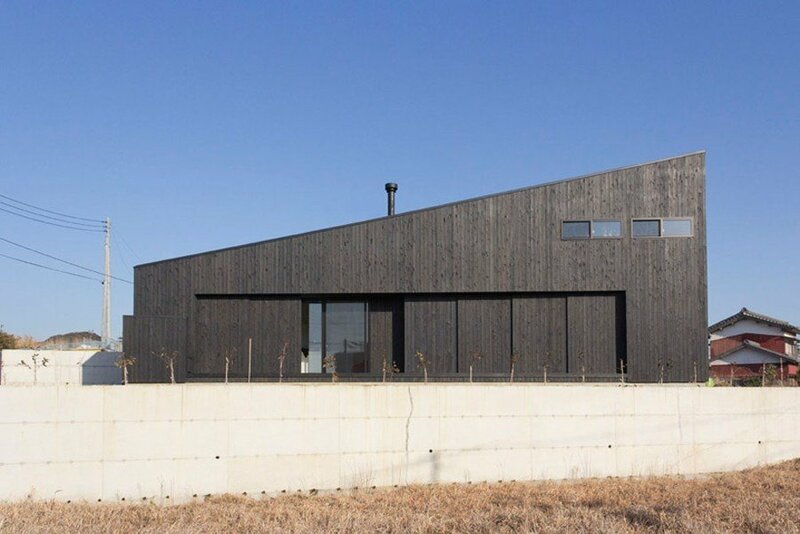 Onjuku Beach House, located in Chiba, has been designed by Bakoko to show enough resilience to face the weather. The tongue-and-groove wood framing stands strong against ocean winds, and beautiful, dark-stained timber shutters close over the windows in rougher storms. Despite the stoic exterior and bold slant of the roof, the double-height interior is tasteful and elegant. Wooden stairs and lofts create an uplifting ambience, which is illuminated by small skylights and generous glazing. A wooden screen keeps the house connected to its traditional Japanese roots, but with a modern twist in the design.